continues to incorporate his fans into the performance, by inviting them on stage to crowd surf & to join him on the functioning rollercoaster he brought with him. 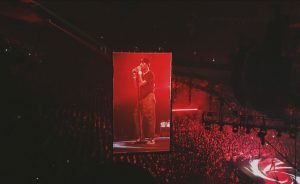 Travis did not come alone, and he brought out a musical genius which he works closely with NAV, they performed one of their biggest songs ‘’BEIBS IN THE TRAP.’’ Travis repeatedly mentioned how much he adored Toronto and how every time he came. Once you go to Astroworld, you honestly never want to come back. 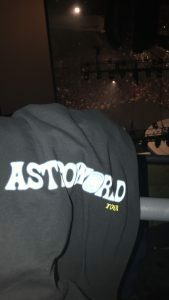 Travis has changed the name of music and performing for years, and it was indeed an honor to watch him perform live.